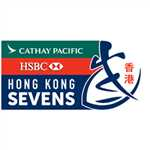 Every year Cathy Pacific and HSBC are title sponsors of the HK Rugby Sevens. They have the biggest budgets, the most real estate in stadium and years of equity with fans. Being the third sponsor after Cathay and HSBC, and with a relatively smaller budget, we needed to find a way to stand out from the crowd – both in stadium during the event, and leading up. We had to do something very innovative from our messaging to channel selection to even braking a few of the Marriott Hotels (MH) brand rules. At the same time, MH also needed to use this prime sponsorship opportunity to change perception of their brand. Currently the MH brand is seen as primarily for business travel – and in some cases stuffy & conservative. We needed to show fans the modern experience we offer, and the ingenious ways we help people to travel brilliantly, - and stay brilliant during the Sevens. We wanted them to get to know the brand in a different, modern light, and think of Marriott Hotels for their next trip. Our film series and branded content bring to life how MH allows all our fans to travel brilliantly. Leading up to the tournament we see Sebastien waking a hotel guest up by crashing through a wall, he teaches him how to eat local, and gives the lucky hotel guest unique ‘beard massage’ to help him recover from his Sevens hangover. While renowned as the ‘Caveman’ and for his aggressive playing style, we paired Sebastien’s gentle side as a contrast for some truly entertaining spots. These films highlight how MH is constantly innovating to find ingenious ways to help their guests stay brilliant during the HK Rugby Sevens. On the ground activations in prime Hong Kong high-traffic areas like Lee Gardens teased avid fans up to the big event. In-stadium events on the day got fans spending precious time with the Marriott brand in fun and unique ways.